Callout for international actions in solidarity with the Hambacher Forest occupation, where cops are preparing the eviction. 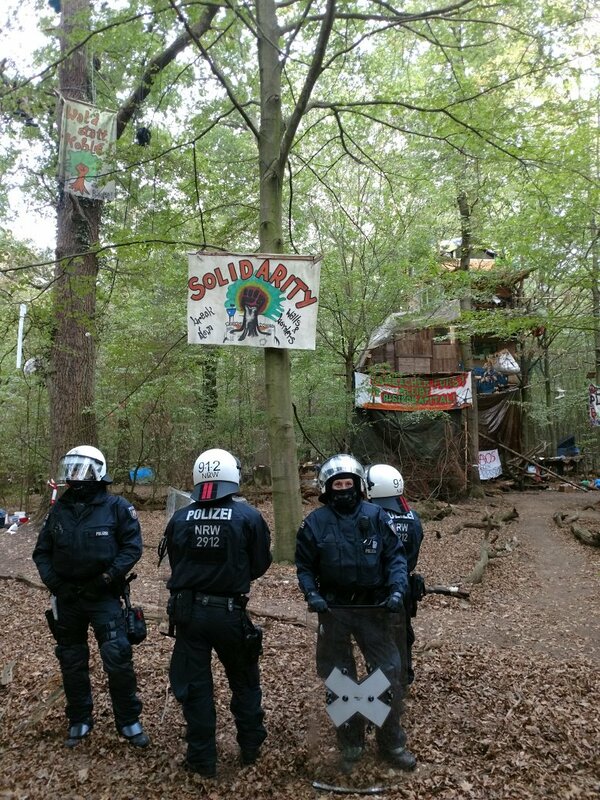 Right now a large scale police action in the Hambach Forest occupation is taking place! The protest camp fighting against energy company RWEs destruction of land and climate must be sustained until the last tree is standing! The eviction of the occupation is coming ever closer, and the struggle is becoming clearer every day now.